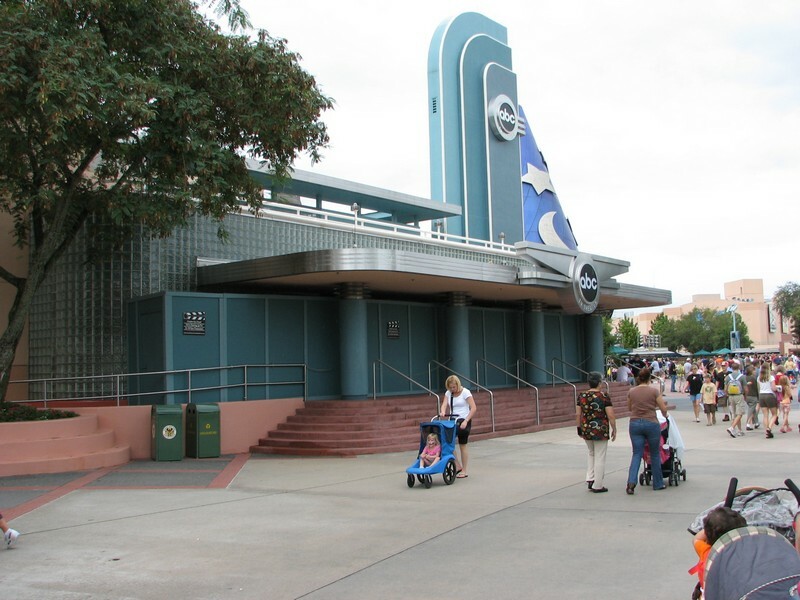 It's interesting to see WDW take on this challenge of adapting AI into an attraction. Certainly fits within the theme of the park. Even though it's coming out this year, the discussions probably go back a few years for this attraction. Imo, it's not really promoting a competitors product - just being reflective of current pop culture. If Disney theme parks were really concerned about promoting other studio's properties, they would have pulled Indy which is handled by Paramount/Viacom, and Star Tours because Star Wars which is handled by Fox. It's not like they can do attractions on Lost, Housewives, Extreme Home Makeover, Greys Anatomy, etc. very easily. They can't even get Hannah Montana in 3D into the parks after it's theatrical run and that seems like the most obvious move for a cheapo, attraction. So Disney..here's a thought. Put the movie into the Muppets theater at DCA for the summer. DBJ wrote: It's interesting to see WDW take on this challenge of adapting AI into an attraction. Certainly fits within the theme of the park. Even though it's coming out this year, the discussions probably go back a few years for this attraction. They could totally do a Lost attraction and I'm surprised they haven't started the ball rolling on one already. This idea sounds really dumb, and also really time consuming. How many guests are seriously going to want to audition, then hang around for a good deal of time until the show starts. I can really only see the locals and passholders having the time to do this, as it just isn't something a family on vacation would have time for. It also doesn't sound really Disney-like to me, having someone say "sorry, you can't sing" then sending a little disillusioned 15 year old girl crying away back to her family. I don't see this lasting very long at all, even less than Millionaire. In the famous words of Elissa, "this is not a good idea." This just confirms that Disney is unsure what to do with MGM/DHS whatever its called now. I am not excited about the new Toy Story ride (Buzz on steroids) and now American Idol! What is going on in that park?!?!?!?! Maybe there needs to be some management changes or a shake up in Imagineering. gotdane wrote: Remember Who Wants To Be A Millionaire's run in the parks? Yeah, I barely remember it, too. Actually, MILLIONAIRE ran for over 5 years from April 7, 2001 to August 19, 2006. In theme park show years, that is pretty impressive. If they can run IDOL for 3-5 years, that would be considered a success. And since Toy Story Mania will be right around the corner, this will definately help with crowds. DerekRx wrote: It also doesn't sound really Disney-like to me, having someone say "sorry, you can't sing" then sending a little disillusioned 15 year old girl crying away back to her family. My original thoughts exactly. An interactive experience of a subjective nature like this just doesn't sit well. I don't think they'll let there be any harsh criticisms of the singers that do make the stage, but some of those who'll be turned away could face unavoidable letdowns....and that's just not what at day at these parks is all about. Very interesting decision, Disney. VERY interesting. ^Exactly. And what about those audience members who get to be "judges"? The opportunities for emotional meltdowns and other disasters here are endless. Beyond the attraction, Hindle says actual "Idol" stars may make appearances throughout the year and merchandise designed by both FremantleMedia and Disney's product divisions especially for the attraction would be available for sale. This is a dumb idea all the way around. I'd rather sit through Stitch again than experience a minute of this AI horror. And Stitch is the devil. While I'm no fan of American Idol myself, let's face it, the public are going to eat this attraction up and it will be a huge success. It's cheap, interactive, and based on one of TV's most popular shows... how is it a bad idea? ECZenith wrote: It's cheap, interactive, and based on one of TV's most popular shows... how is it a bad idea? It requires a much longer time commitment on the guest, including requiring them to return for the last show of the night when the guest will more than likely have other plans. There is the issue of language barrier with international guests. The subjective nature of the judging can, and likely will, cause upset and disappointed guests. Guests are already disappointed by the random nature of the Year of a Million Dreams prizes, if they are snubbed personally on a subjectively judged contest, the ire will be drawn further. The architecture of the show building itself, as per the concept art, is completely out of touch with the rest of the area. Though the show itself is popular, the appeal of appearing on the show caters to a very small market. The popularity of the show is waning fast, giving the attraction a very small window of opportunity. The grand prize is unappealing for the normal guest and is too bogged down with other stipulations, specifically the age requirement of 16-25 which is an age that Disney has extreme difficulty courting. 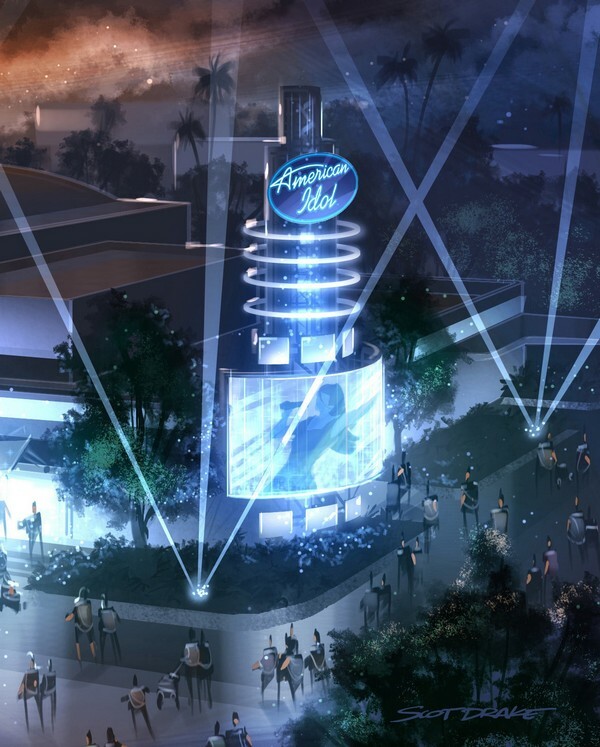 American Idol is so closely tied to Fox television, it will likely cause confusion to the guests on why it is at a Disney park and will go to promote a competitors product. With licenses like Indy and Star Wars, they are not known as a Paramount or 20th Century Fox brand, they are known as a Lucas brand. The man himself is known far more than the distributor of the film. In the case of American Idol, the distribution platform of Fox television is just as synonymous as the brand itself. I don't think it is all that cheap to begin with. I'm sure acquiring the license cost a pretty penny on top of the construction costs to update and reset that theater again. It's not e-ticket costs, but it's also not cheap. That, in my and seemingly many other people's opinions, is why this is a bad idea. I added the concept art of the building itself, to prove my "out of place with the rest of the area" point. The concept art of the show sign. The ABC Theater, as of 10/29/07, where American Idol is supposed to go.